Ten years ago, vegans and vegetarians of the world struggled to find anything on a menu aside from fries. They ate A LOT of fries. Occasionally, veggies would find a spinach quiche or a margarita pizza but I think it’s safe to say that gourmet palates were suffering. With probably 80% of foods falling under the fruit, vegetable & grain category, it was mystifying that restaurants were not exploring and experimenting, creating the moreish dishes that we designed in our own homes. Today, it seems that having an environmental conscience is actually working its way into the mainstream. Despite widespread childhood rumours that vegetables were gross - the Mcdonald's crowd are discovering them to be not only totally versatile but also delicious! However, when travelling as a vegetarian or vegan, particularly when new languages and cultural attitudes are mixed with different understandings towards what even constitutes as 'meat'. It can be extremely embarrassing and uncomfortable trying to explain that you don't eat animal products to someone who has no concept of that reality. To understand what is safe to eat and what isn't when you don't speak the language. This is exactly why we have done the research for you. 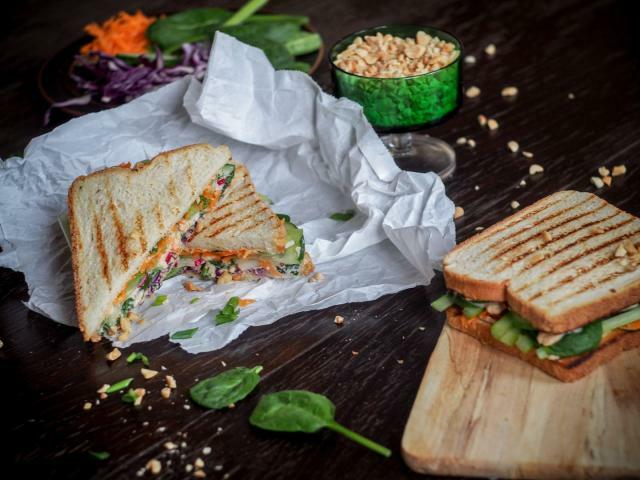 In writing this article, we found out just how many vegan and vegetarian cafes there really are in Krakow... SO MANY. There has been such an explosion of green eating, in fact, that we only have space to mention some of the most dedicated places (even though almost the majority of restaurants offer some solid veg options). Let’s just say that there will be no need for you to eat fries in Krakow. And what about traditional veg eats of Poland? Well for starters, the staples of Polish cuisine - Pierogi (Polish ravioli), and Nalesniki (stuffed crepes) - can be found everywhere, and with a variety of veg fillings (mushroom, spinach, cabbage, lentils, raspberries - you name it). You can try them both, vegan style, at the first place on our list! Hot Tip: Two helpful polish phrases. (bez) mleka/sera/mięsa/masła? – (without) milk/cheese/meat/butter? Czy to wegetariańska/wegańskie? – Is this vegetarian/vegan? Sort of a green version of the Polish ‘Milk Bar’ (Bar Mleczny), Glonojad has a full menu, big portions and is perfect for those on a budget, hungover or even just super hungry. Serving up a multicultural selection of Mexican, Italian, Indian & Polish origin - this is a great opportunity for vegans to try those local favourites we mentioned earlier: pierogi and nalesniki. All of their ingredients are from small, family-owned, local farms, they are GMO / artificial/refined stuff free and their egg/dairy produce is free range. Right next door to Glonojad, you will discover a much lighter style of eating with Miąższ. Not only do they make some of our favourite sandwiches, juices & cakes but most importantly have a picture of the world’s most peaceful monkey in their bathroom. Their ingredients are always earth-conscious, fresh, inventive, invigorating and deliciously assembled. We keep coming back for the guacamole panini & the amazing coffee. For lunch, their hummus and salad sandwiches never go amiss and the large selection of salads, falafels, muffins, terrines, pilau, pasta, vegan burgers, cookies, vegan pate and chilli sin carne gives you ample room to be moody with your meals. All their products are 100% hand-made by the most friendly and wonderful ladies ever to stand behind a till - you'll get a boost from the food AND from the love! Find it in real life: Ul. Karmelicka 6, Tucked behind the Teatr Bagatela tram stop. As you can probably tell by the name, the only meat to be found here is on their clean living and very much alive customers. If you were to eat regularly at Veganic then your flesh would be seriously lean and delicious... so let's just hope there are no cannibals around. You’ll find them amongst the hip Dolne Młyny crowd, on the premises of an abandoned tobacco factory turned art/culture/food hub. The vibe is modern yet rustic, minimalistic yet creative, industrial yet natural - reminiscent of Budapest’s famous ruin bars. Gracing the seasonal menu are some terribly delectable, gently crafted delights. 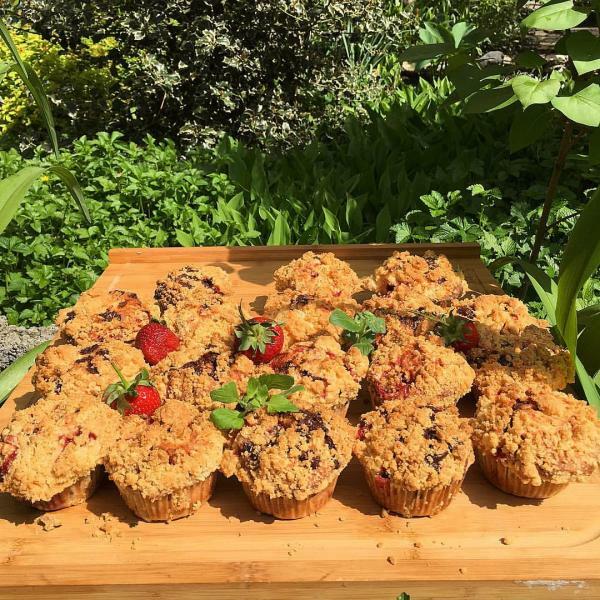 Classics such as vegan burgers, salads, focaccia, golabki and soup alongside yummy breakfasts, bagels, an incredible selection of cakes & more. These meals have such beautiful presentation that they often look like little food sculptures on plates. 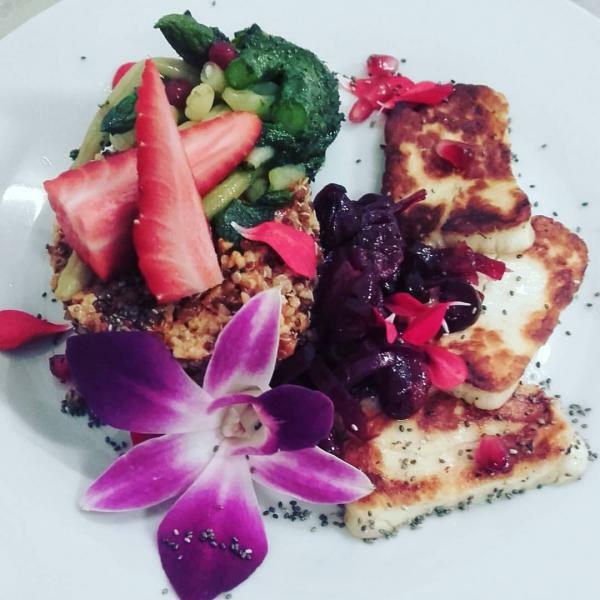 Vegan, vegetarian, gluten-free, sugar-free options made with fresh, seasonal ingredients which you can bet are ethically and locally sourced. Lush cocktails go perfectly with their lush garden, and their fully stocked bar isn't short of craft beers & biodynamic wines. 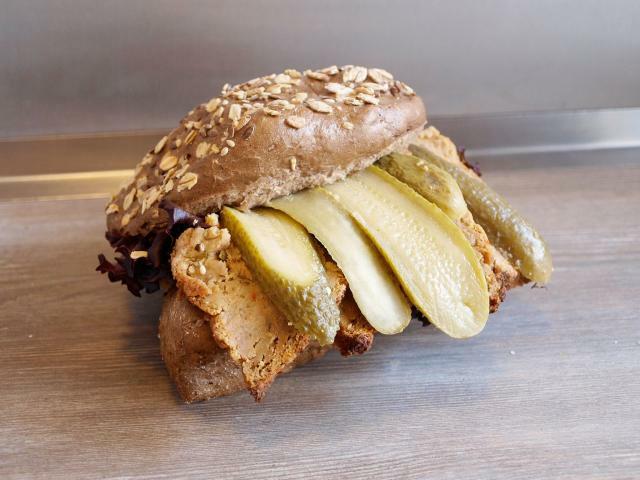 Although these days you can find a veggie burger on the menu at most burger bars, Nova Krova, Krowarzywa Vegan Burger, Mihiderka & Farma Burgerownia Roślinna take it to the next level, with not a single crumb of beef to be found between their buns. 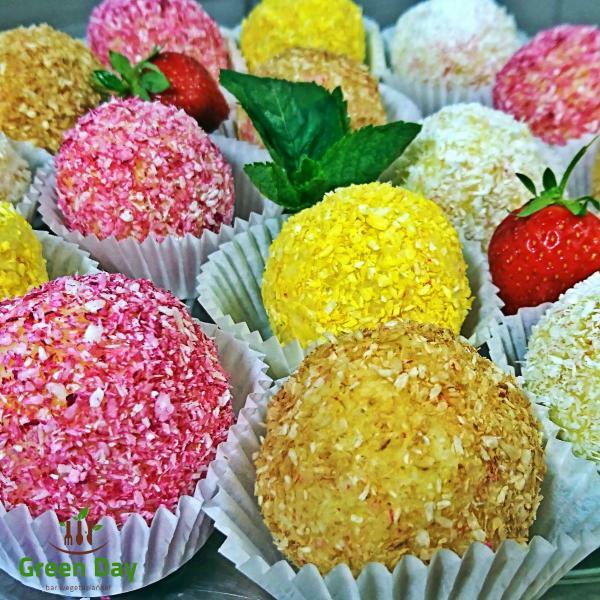 They are entirely vegan, free of all the bad unprocessed, preservatives, additives etc., expect gluten-free options, seasonal, and super forest friendly, of course. 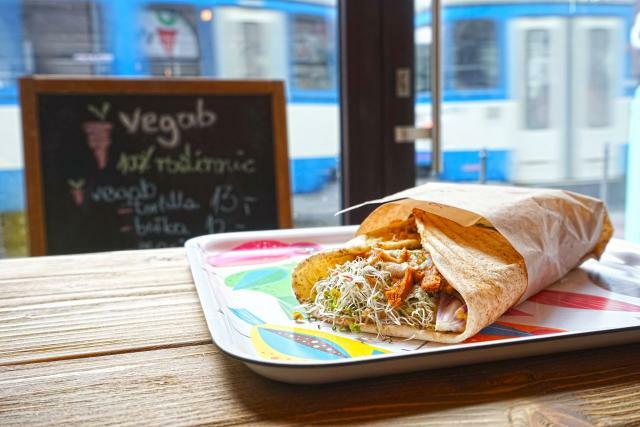 We love Nova Krova because they have yummy vegan mayo and were the first 100% vegan place in Krakow, paving the way for the rest. We love Krowarzywa for the quality of their buns & that they have prepared their menu with the help of dieticians & trainers. We love Farma Burgerownia Roślinna for their bangin’ potato wedges and their vegan zapiekanka (another Polish speciality). We love Mihiderka for their all important patties and their tofu cheesecake. 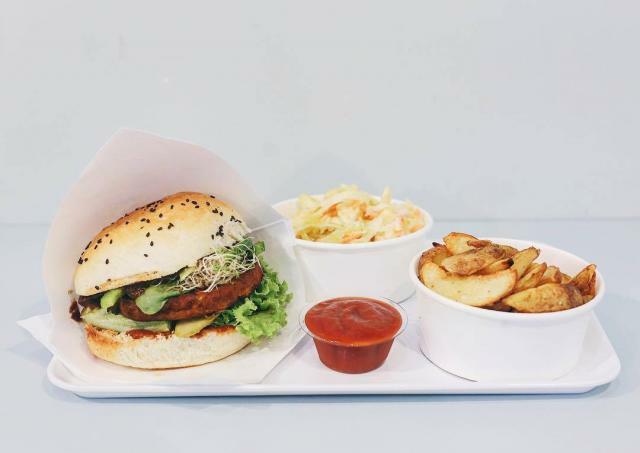 Why not go on a vegan burger crawl and let us know which is your favourite? Continuing the fast food theme; who doesn't love to chow down a good old-fashioned kebab after a hard day's graft or a hard night's drinking? Greenies delight in this contemporary array of succulent meat free wraps, indulge in a Greek, Hawaiian or even Beirut style vegab. They also serve up steamy dishes of lasagne, veg hot dogs & delicious cakes. Perfectly juicy yet crispy nuggets of chickpea gold, a sparkling variety of perfectly balanced flavours dance in their sauces, salads and accoutrements. Warm and soft like a womb, perfectly baked pita bread snuggles around this luscious concoction, whispering sweet nothings from its yawning, falafel stuffed mouth. 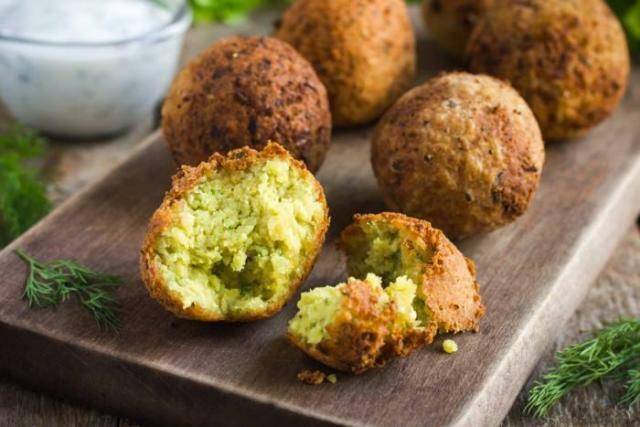 We really cannot explain to you how the mysterious combination of spices can be so hypnotic, left to assume that the Israeli family who runs it were born into this world with their only destiny being to create the most sumptuous, unforgettable falafels the world had ever eaten. A clean green detox machine, Raw Nest exclusively deal in fancy, fancy juices. Taking all the health, liquefying it and pouring it into one a powerful jar, these vitamin and antioxidant bombs are a great way to boost your immune system and to medicate all kinds of body crises. Now, technically their menu is not 100% vegetarian. However, we just couldn’t leave them off the list for one simple reason: Bibimbap. Bibimbap is a neat vegan arrangement of tofu, rice, ginger, lentils, veggies and more. “What is BIBIMBAP? One bowl of BIBIMBAP contains all of the necessary nutrients for a healthy, balanced diet. Not only does it contain all of the recommended dietary intakes, but it is also very low in sugar, sodium and cholesterol, helping people fight diseases such as obesity and heart diseases. This is why we call bibimbap, 'A Bowl of Healthiness.'" For veggies & vegans & healthy livers alike - this meal is a miracle for your body. The other night we wanted to go out for dinner and we felt like Asian food. We desired to treat ourselves with clean, invigorating and luxurious feeling dishes but also to try somewhere new. I had come across Pod Norenami a few times while researching for this article but for some reason, perhaps as the name sounded quite Polish, I assumed they would serve traditional meaty classics with a few vegetarian baked vegetable & potato dishes. Very wrong. Enter: the best sushi we had ever eaten in Krakow and Chinese dishes that are on par with our favourite Chinese restaurant (run by actual Chinese people). With a typically Asian-style super long menu to choose from, the fully vegetarian and mostly vegan dishes hail from Thailand, Malaysia, Indonesia, Vietnam, China & Japan and tasted damn authentic! This is partly due to the attention to detail they had in creating unique vegan 'beef' 'chicken' 'shrimp' pork' etc., allowing for lots of variety in flavour. The menu is written in such a way that you could easily trick your most discerning anti-veg friends into enjoying a delicious 'beef' Rendang, while you subsequently enjoy the surprise on their face when they realise no cows were harmed! Just around the corner from Teatr Bagatela & the Local-Life office. 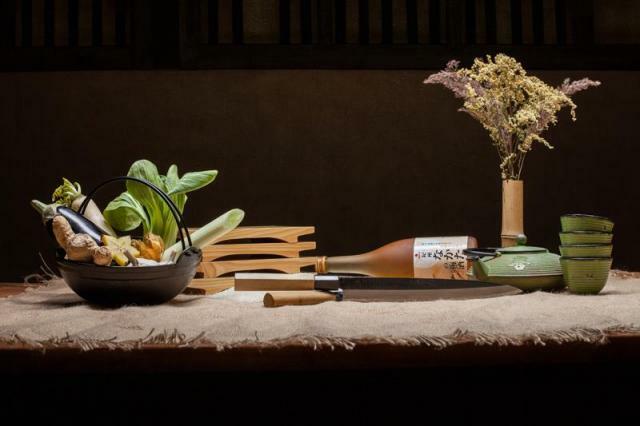 With such great lunch specials and delicious sake cocktails, I for one plan to visit regularly. Ok, two secrets you need to know: #1 Despite how much the Polish complain about their weather: Poland has HOT SUMMERS to fit in with the rest of their proper four seasons. Yesterday it was 37 ° Legit. Celcius. Secret #2 is that Poland may be the dark horse Icecream Mecca of the world. Whether it is bone meltingly hot or bone shatteringly freezing - Polish people will be eating ice cream. They love ice cream. They may even love it more than sausage (intentional). As much as the Poles love their ice cream, they are also VERY passionate about which ice creamery is the best and when prompted, will immediately launch a long and enthusiastic speech on where and why to buy your cones. And where not to. Their passion comes from a real place, however, with a store on every corner and much like craft breweries they are often locally sourced, priding themselves on their creativity, substance, natural ingredients and high quality. 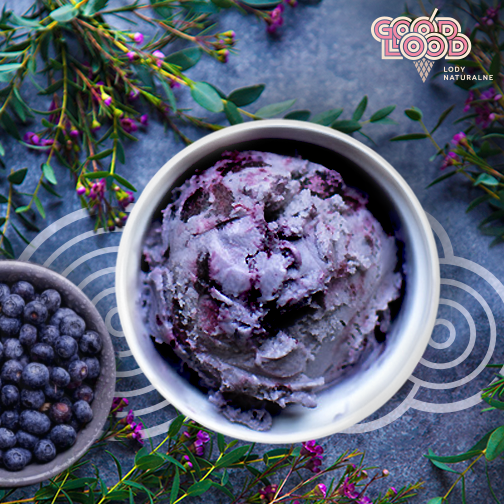 Here are some chill places that are serving up dairy-free scoops. Serving up staple vegan Chocolate & Vanilla ice cream, along with sorbets, Vegan's rave about it and you will too. Find it in real life: On the corner of Plac Wolnica & Krakowska. Coffee, Coconut, Vanilla, Chocolate. Deservedly one of the most popular ice creameries in Podgorze and next door to one of the best beanbag bars. Find it in real life: On Staromostowa, just across from Rynek Podgorski and next door to awesome pub 'Punkt Docelowy' (their name means next to ice cream). They might only have sorbet for the vegans but their unique Persian flavours are just so creative we had to include them. They even import their saffron (yes, saffron ice cream!) & pistachios direct from Iran. Fast gaining a top reputation for quality, their flavours change daily but always a few sorbets and usually a few vegan ice cream options. Find it in real life: Plac Wolnica 11, in Kazimierz - just look for the long line. These guys have vegan Chocolate, Vanilla, Coconut, & most importantly: Halwa flavoured! Hummus is what dreams are made of and this place is boshing out 25 different flavours of dream. The friendliest of kitchen and dining rooms all in one, try the vegan soup, drink some coffee, have a chat, eat all the hummus you can and just feel happy. Simple. What more can we say? If none of that means anything to you - it might be your first chance to taste the beauty of this distant cuisine and a few others. In true Polish/Asian restaurant style, there's a bit of something from just about everywhere in Asia... and Africa...and Europe. We recommend: A typically Indian 'Thali' platter gives you the chance to try a few different flavours, while the 'dosa' and namesake 'momos' are a rare find for Poland and certainly worth indulging in. Very friendly prices and a super relaxed atmosphere. This cosy little cafe with its lovely mezzanine and charming atmosphere makes for a wonderful little hideaway in the centre of the Old Town. Items on the menu hail from all over the world with quite the selection of wraps, juices and pancakes, alongside more filling meals such as Enchiladas, Cannelloni & Soy Schnitzel. Karma is adored by herbivores and omnivores alike, it pretty much a second home for a dedicated percentage of Cracovians so it's no wonder they decided to open extra locations around the city. They are as much loved for their relaxing atmosphere, sparked by great staff and minimalistic Scandinavian interior design, as they are for their nutritious, delicious meals, mostly light, fresh & superfood loving, seasonal salads, tarts, cakes & sandwiches... not to mention their famously good coffee (they roast their own). The menu is more suited to breakfast or lunch but that hasn't stopped anyone from spending an evening there, in fact an elegant wine selection encourages it. Karma's newest location is just a little bit different... and it's taking Krakow by storm. Ka Udon literally imported Udon Masters from Japan to intensively train their own Udon Chefs and it was certainly worth the trouble. 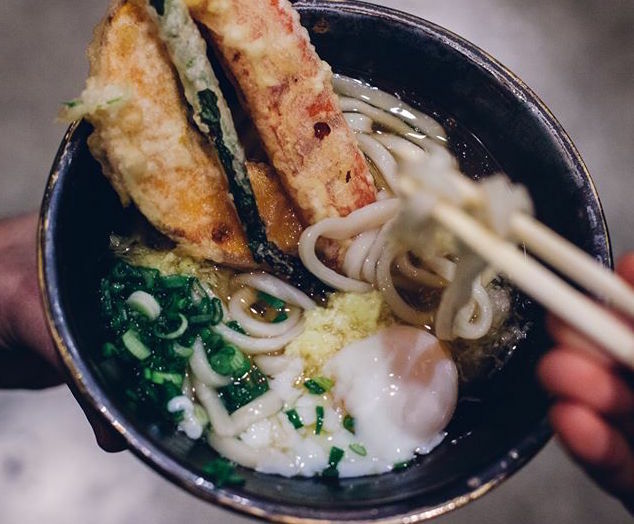 When that broth trickles down your throat and your taste buds are alerted to the wonder, you will wish it was an endless waterfall of Udon that you could soak your whole body it in. The oh so crispy vegetable tempura is so dangerously tempting that it might seduce you into rummaging through the bins of Ka Udon searching for scraps. 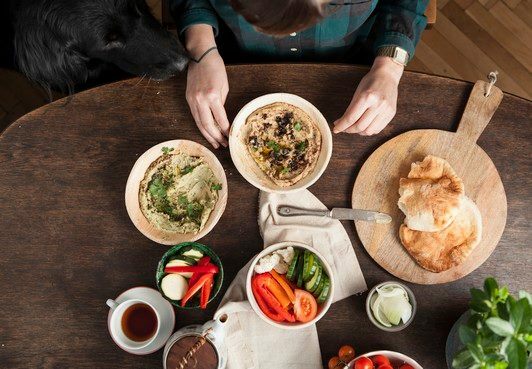 Relatively new in town, Mazaya has won over the hearts of veggies and hummus lovers alike with their authentic fare being concocted in a traditional way by super friendly and kind-hearted Syrian owners and chefs. 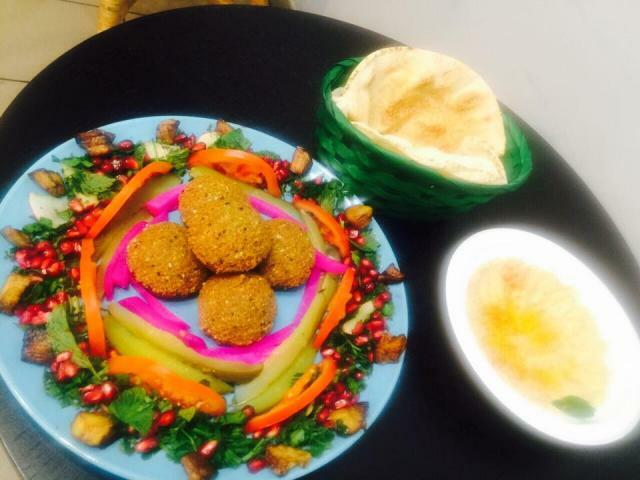 Colourful pickled sides, gems of pomegranate, crispy falafel, fresh tabbouleh and some kind of Syrian magic to complete the setup. Find it in real life: Grzegórzecka 40, on the giant roundabout, good luck. This is a community building project which aims to join together hungry people and the homes of people who love to cook so that they can basically having an amazing time. It's totally international (From Polish to Moroccan) cuisine prepared by real people, (both locals and expats), infused with a love of conversation, sharing, and of course a passion for food. There are plenty of vegan and vegetarian meals to get involved with a side dish of inspiration & adventure to be had as well! As seen on Korean Television! 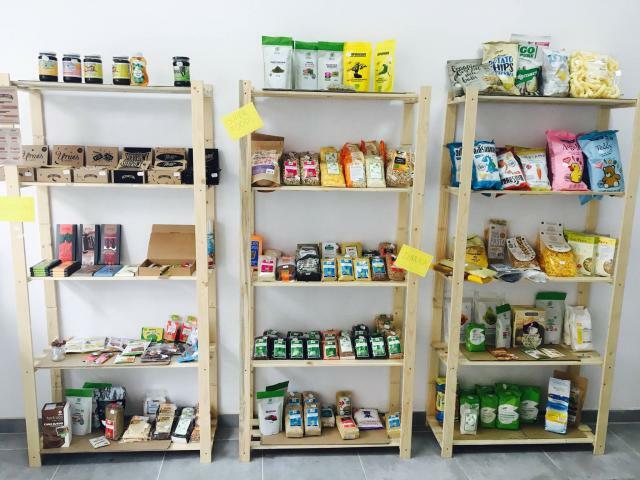 This fantastic organic shop is stocked with everything you could need to create an amazing meal - vegan cheeses, butter and other "dairy" products, tofus, tempeh, vegan meat substitutes, herbs & spices, seeds & nuts, jams & spreads, oils, snacks, bath products and loads more! Our favourite thing about Sklep Roslinny is that they are dedicated to supporting local vegan and vegetarian boutique brands vegans (in fact many from our list) such as Hummus Amamamusi, Serotonina Cheeze (best name for a cheese brand ever), Basia Basia Nut Spreads, Soap Workshop, Tortillas Molino, Raw Nest, Manufaktura Cieleśnica... etc. This means even fresher handmade produce and a big lift for the local vegan and vegetarian economy...we love it. All products are 100 percent vegan, with no added palm oil. Luckily for Nowa Hutan herbivores, even this little pocket of Krakow has its own local vegetarian food truck! 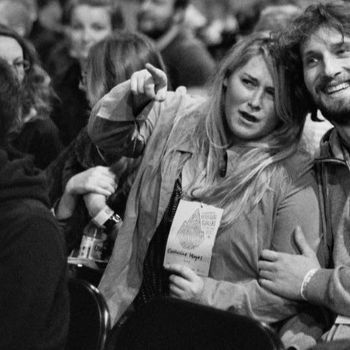 Umami is the secret '7th flavour', (found in soy sauce & vegemite, for instance) that makes for lip-smacking joy that you can't quite explain and these guys are certainly making the most of their umami! Their menu is particularly interesting as it has some very unique veggie takes on traditional Polish food, incorporating these ingredients in some lovely ways. 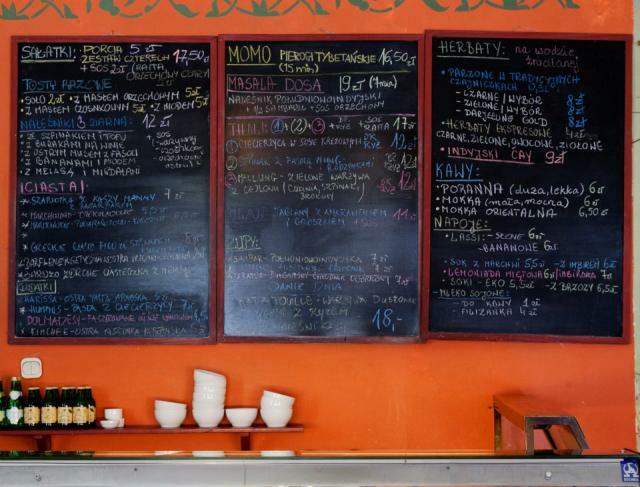 Very seasonal, ever-changing menu - expect everything from Split Pea Curry to Tofu Sandwiches. 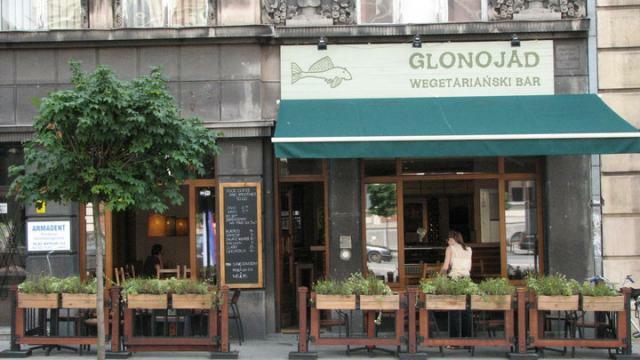 The self-titled 'first gourmet vegan restaurant in Krakow'. Fantastic selection of vegan smoothies, lunch set specials and a seasonal menu including Polish favourites, floral garnishes and international flair. Find it in real life: The name says it all. Wielopole 3. Just off the Planty. 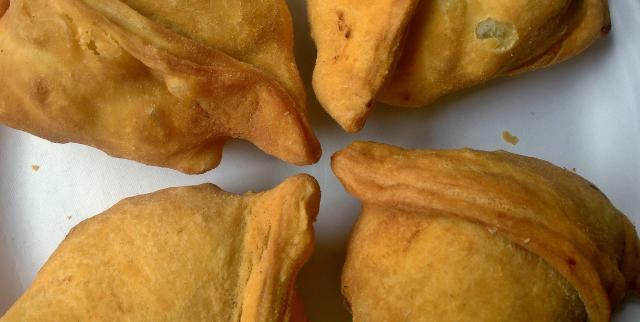 Once again the name says it all... and the name of the game is samosa & curry. The menu is simple: Samosa, Dal, Curry, Chapati, Rice... but honestly, what else do you really need? The simplicity of the menu is clearly reflected in the taste as a value placement of quality over quantity and we love it. Podgorze’s own ‘Parsley Market’ has a whole lot more than herbs on offer at their twice-weekly spread. Their mission is to connect the eaters with the local producers and to get all those beautiful fresh organic, natural and pesticide-free (regularly tested) fruit, veg, juices, pierogi, honey, breads & cheeses from the farm and onto to your table. Everything you find comes from 150km of Krakow - a fantastic way to explore local flavour and support the organic community. With that classic Kazimierz ambience in spades, sinking into one of their couches with a warm cup of coffee on a rainy Sunday morning is a particularly romantic experience. The menu is totally vegetarian with loads of vegan options mixed in and we highly recommend their breakfasts. Their vegan tofu version of scrambled eggs is amazing and the corn pancakes are extremely moreish. Our favourite thing about Cafe Mlynek, however, is that it feels like you're in a majestic wooden ship. No, this isn’t a cruel trick. This place actually exists. The magical world where deliciously indulgent cakes (and we’re not just talking oatmeal) have the nutritional value of a dietary meal! Dedicated to healthy, balanced eating as well as to pleasure and flavour, Cakester takes all that guilt and regret you normally associate with the yummiest pastries and drives it right off a cliff. Not only cakes but sandwiches, waffles, ice cream, pancakes and amazing coffee. Krakow’s own cupcake kingdom can be found in several spots around the old town, always with fresh contemporary decor, set off by cheerful pastel shades. Take your pick from a dizzying array of delicious cupcake flavours and thank the vegan gods that you get to taste them because every day you’ll find a yummy vegan cupcake or vegan brownie on the menu. This cheerful cafe, it’s staff and the atmosphere are just about as sweet as it gets. Winning the award for cheerful attitude are busy bee’s Wesola (literally meaning ‘Merry’) Cafe. 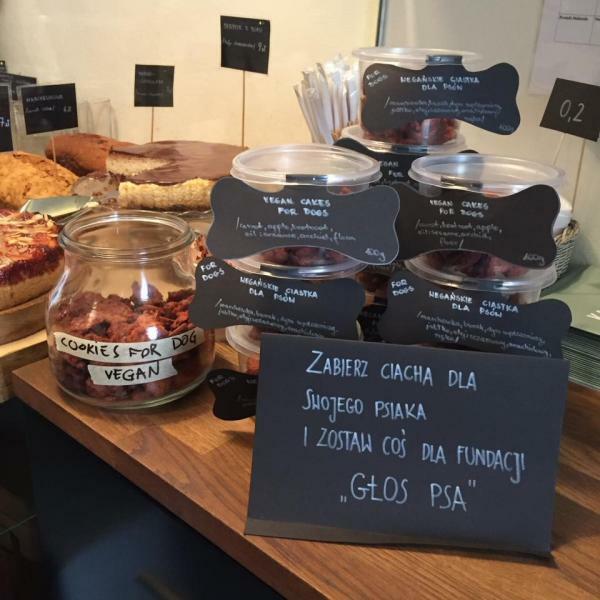 So dog friendly that your pooch might accidentally ‘go missing’, so in love with coffee that you know they’ll do right by your mug and so enthusiastic about creating delicious, nutritious food that their tables are always buzzing. All day breakfast on weekends (coconut porridge! 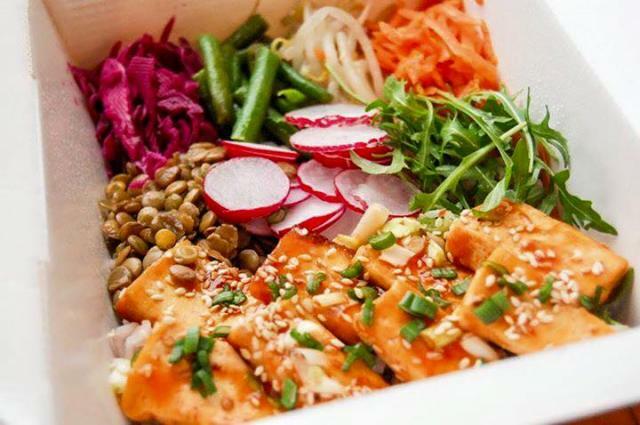 ), long boozy lunches, you’ll find loads of vegan options on the menu - daily soups, curries, salads, sandwiches & desserts. Aww, Thanks, Ewa! Hope your time in Krakow is as sweet as you. Great article!!! There are also ice cream called "U Lódmiły" - DELICIOUS vegan creamy ice-cream. It's just next to Wawel on Gertrudy street. Also missing quite new restaurant - Veganic. Dolnych Młynów 10. Delicious food and elegant atmosphere. Krakow definetly needs more elegant vegan restaurants.